St John’s CE (Aided) Primary School adhere to the statutory guidance from the Department of Education. This means that governing bodies must have regard to it when carrying out duties relating to the constitution of governing bodies in maintained schools. The role of the school governor is demanding but very rewarding. School governing bodies are responsible for working with the school to ensure that it delivers a good quality education. Together with the Head Teacher, who is responsible for day-to-day management, they set the school’s aims and policies. The Governing Body of St. John’s C of E Primary School was re-constituted in 2014 coming to effect in September 2015. It is now made up of 2 staff governors (including the Headteacher), 2 elected Parent Governors, 1 Local Authority Governor and 7 Foundation governors. Foundation governors are appointed by the Durham Diocese Board of Education and the Parochial Church Council of Saint John’s Church: they also include the Priest in Charge of the parish. Members of the governing body have been appointed because they have the skills required to contribute to the effective governance and success of the school. The staff and parents governors bring detailed knowledge of the education provision offered to pupils over a period of time. Foundation governors ensure that the distinctive nature of our school as a Church of England school is maintained. Our local authority representative provides invaluable experience from a wider political and social perspective. Each governor also has a wide range of skills identified in a skills audit. Highlights from this include: community leadership, social care provision, justice, health, adult mental health, education (teaching) (public and private sector), education (support), administration, Church leadership and economic regeneration. Securing improvement in all Key Stage outcomes. New Foundation Governors and a Parent Governor have been appointed. result there has been a restructure of the Leadership Team. This now comprises of the Headteacher and two Deputy Headteachers. Appointment of a newly qualified teacher (NQTs) to cover maternity leave. The finance committee reviewed and the full Governing Body have approved the 2017/18 budget plan for the school: we are pleased to report that the school is in a viable financial position. One of the roles for the governors is reviewing and agreeing school policies, and this year we have considered all statutory policies. Recently Governors have been involved in a review of other policies which are evident on the website. Minutes of Governing Body and Committee meetings are public documents: you can ask at the school office if you would like to see any of the minutes of our meetings. The school has maintained its ‘Outstanding’ status. A new Strategic Plan for 2015 to 2020 is in place. The Governing Body will focus on securing full membership and maintaining high levels of involvement in the continual school improvement of St. John’s. It will ensure funds are allocated to support the development of the curriculum and enrichment activities. It will continue to ensure that pupil premium funding is used effectively to support disadvantaged pupils. The Governors will continue to develop their knowledge and understanding of the Ofsted Framework and respond to changes implemented in September 2015. 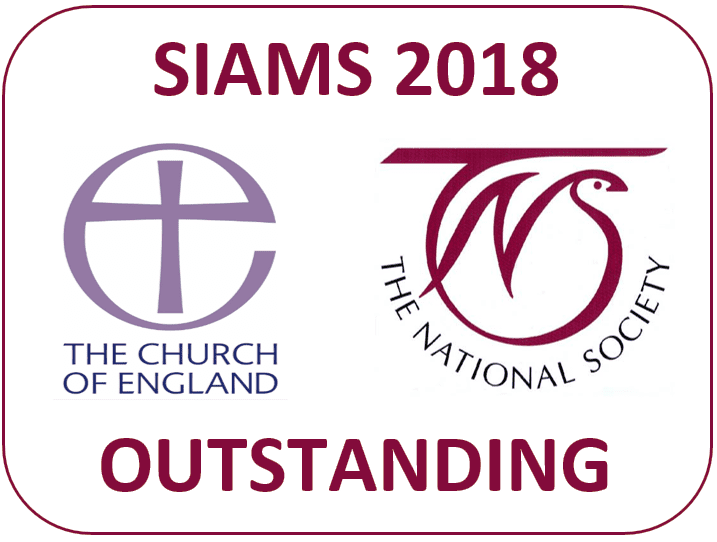 The Governors are currently preparing for our SIAMS inspection in July 2018. The Governing Body always welcomes suggestions, feedback and ideas from parents/carers. Please contact the Chair of Governors, Revd David Tomlinson via the school office. You can view archived Governor attendance on our website. Monitor and review impact of Pupil Premium, Sports Premium, Early Years Premium. Ensure appropriate use of the Early Years Premium, Pupil Premium, Sports Premium. £5000 to £10000 Above this limit if item was previously notified to the Governing Body.